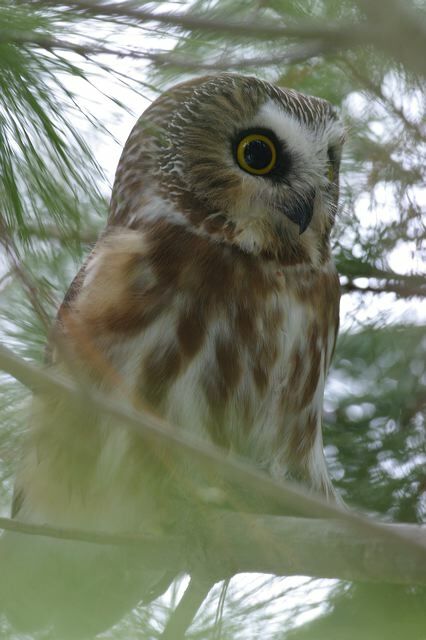 Northern Saw Whet Owl (Aegolius acadicus). There was a great commotion of Jays, doves, Juncos, you name it, and then everything settled down again. I went around to all the windows, hoping I might be able to photograph it again, but couldn't find it. 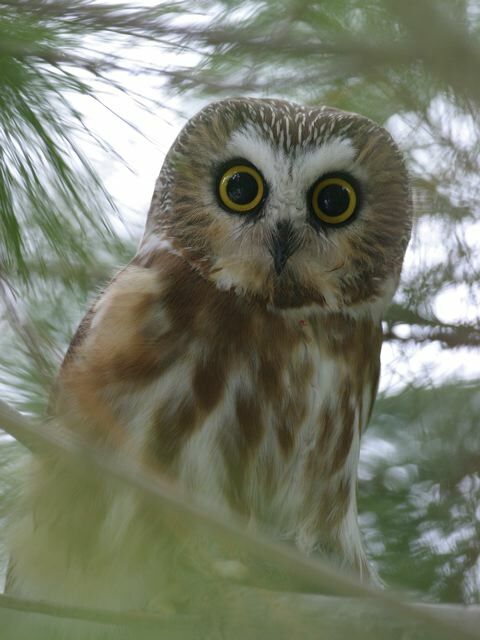 Photographed by Scott J. Spangenberg at my yard in Amherst, New Hampshire, USA on 12/11/02. Canon D60, EOS 100-400mm IS 350.0 mm 1/30 sec f8.0 +0.0 400. Copyright © 2002, All Rights Reserved. Image 4 of 10, file: 2002-12-01-025.JPG.